Goblin Chainwhirler ($0.88) Price History from major stores - Dominaria - MTGPrice.com Values for Ebay, Amazon and hobby stores! 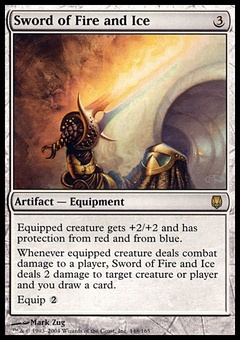 Card Text: First strike When Goblin Chainwhirler enters the battlefield, it deals 1 damage to each opponent and each creature and planeswalker they control. Flavor Text: "The trick is, once you get moving, don't stop!"